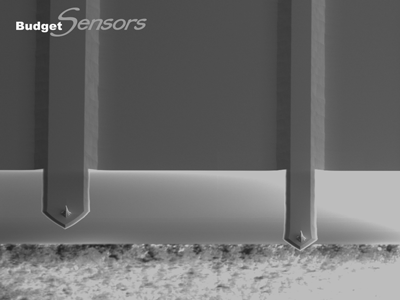 Versatile silicon AFM probe with 4 different cantilevers on a single AFM holder chip. 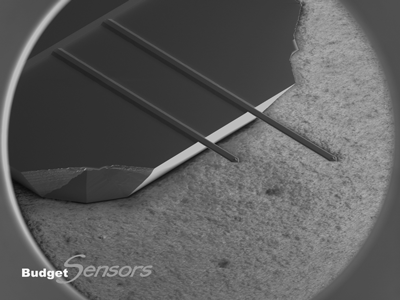 Rotated, monolithic silicon AFM probe with symmetric tip shape for various applications (contact mode, force modulation mode, tapping mode and soft tapping mode). 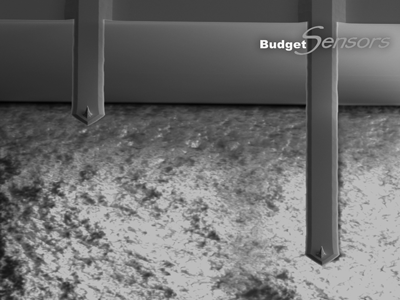 The rotated tips allow for more symmetric representation of high sample features. The consistent tip radii ensure good resolution and reproducibility.